Nancy Paulsen Books, 9780399162787, 240pp. 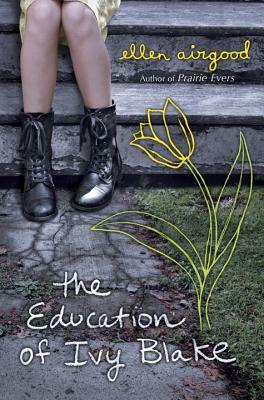 In this uplifting companion to Prairie Evers, shy, introverted Ivy must find her footing when her reckless mom turns her world upside down. Ivy has loved living with her best friend, Prairie, and being part of Prairie’s lively, happy family. But now Ivy’s mom has decided to take her back. Ivy tries to pretend everything is fine, but her mom’s neglect and embarrassing public tantrums often make Ivy feel ashamed and alone. Fortunately, Ivy is able to find solace in art, in movies, and from the pleasure she finds in observing and appreciating life’s small, beautiful moments. And when things with her mom reach the tipping point, this ability gives her the strength and power to push on and shape her own future. Ellen Airgood (www.ellenairgood.com) is the author of Prairie Evers, which was a Bank Street Best Book and has won numerous state awards, and the adult novel South of Superior. She lives in Grand Marais, Michigan.